The Bergwaters Eco Lodge and Spa, set in a spectacular location between Waterval Onder and Waterval Boven in Machadodorp, Mpumalanga, is a beautiful and peaceful place that offers a range of activities and facilities to help anyone escape from their daily hassles. The surroundings have to be seen to be believed, and the secluded valley, framed by breathtaking sheers cliffs and punctuated by crystal-clear sparkling streams, serves as the perfect location for a lodge such as this. Bergwaters aims to offer their visitors affordable yet upmarket bed and breakfast accommodation, and there really is something for everyone to do. If you're looking just to rejuvenate your body and mind, then there are various spa facilities that offer a range of options specifically designed to whisk you away from your daily stresses. But, if you're looking for something a bit more fast-paced, then there are a number of options available to get your pulse racing. There are an array of beautiful hikes and walks right on your doorstep, and a variety of other activities can be arranged, including rock climbing, abseiling, horse riding and mountain biking. There are also comprehensive conference facilities located on the premises, and as such the lodge serves as a perfect and rewarding getaway for a weekend conference or team-building exercise, and a various of activities and facilities can be incorporated at your request. Their location near Machadodorp is ideal. 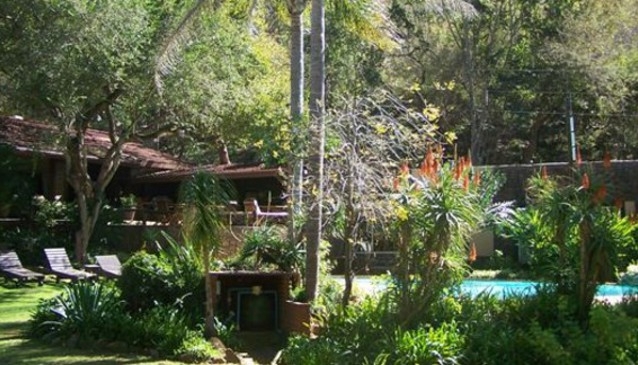 It serves as a perfect stopover for those planning on moving through to top tourist destinations such as the Kruger National Park and Mozambique, and it also works as a convenient and comfortable base for those interested in touring the Waterval Boven and Waterval Onder regions, including the popular Highlands Meander. It will also work particularly well for sporting fans, as the brand new Mbombela Soccer Stadium in Nelspruit is just a 30 minute drive away. The Bergwater Lodge really is a great option when traveling into the region, and its spectacular setting and highly competitive rates make this a must-visit spot on your next trip to the Lowveld.